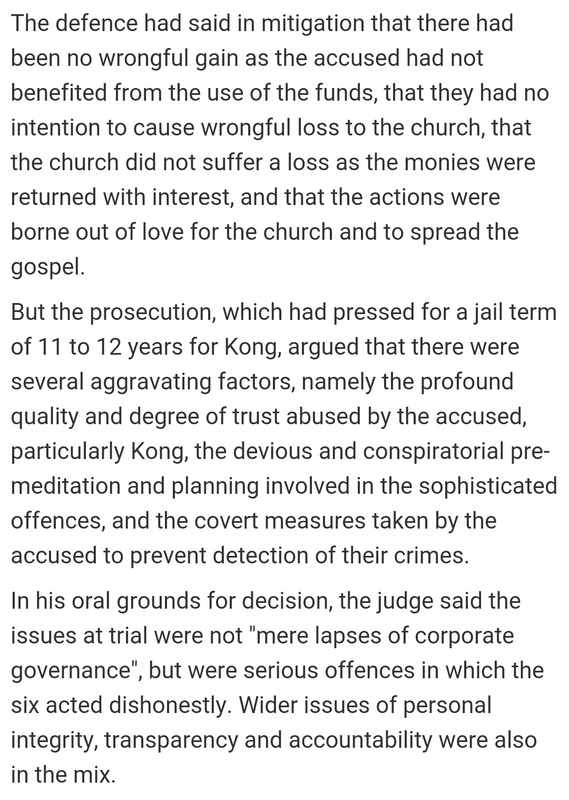 Theological Remarks About Kong Hee & His Church ~ Why Only After The Trial Verdict Was Announced? 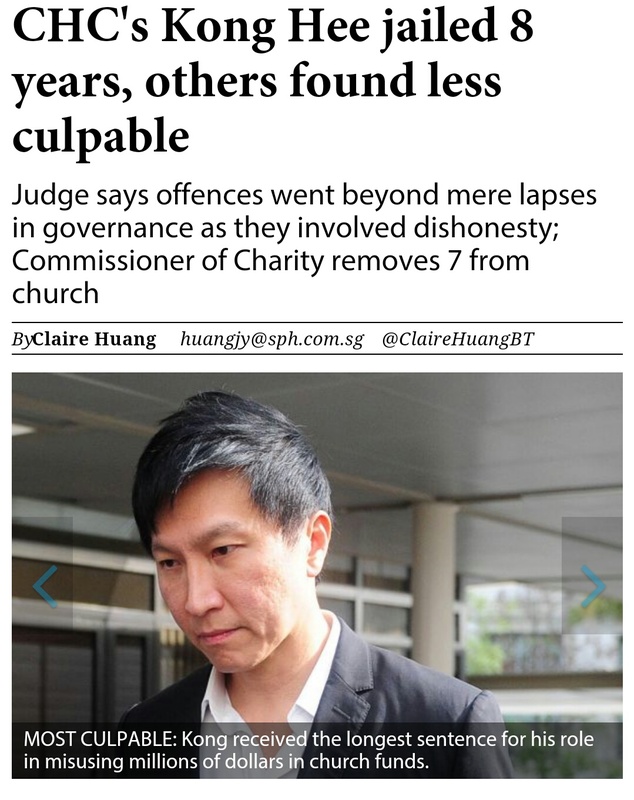 This is typically the “local culture”, as one read the extracted news report about such 马后炮 (hypocritical ” wisdom “) let loose by some people out there. 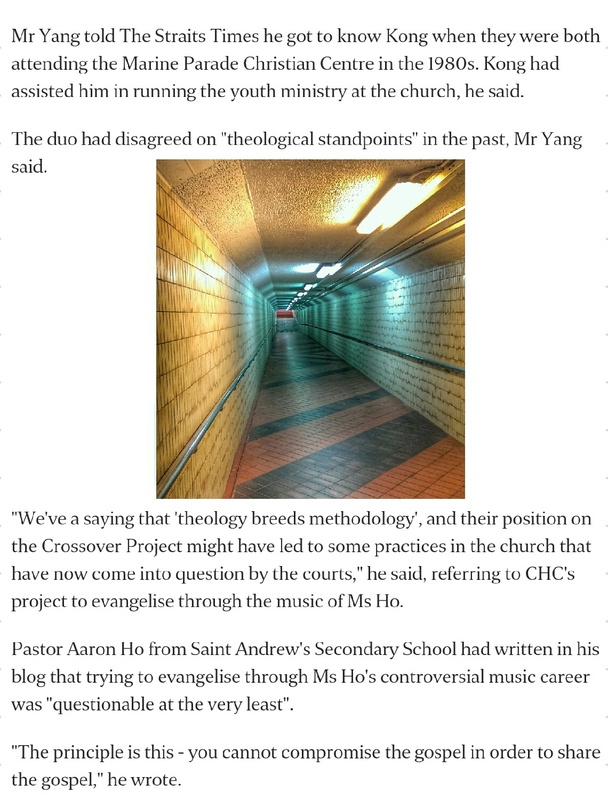 Final thoughts: Christianity faith and Theology are not meant to be argued in the public using such cases. 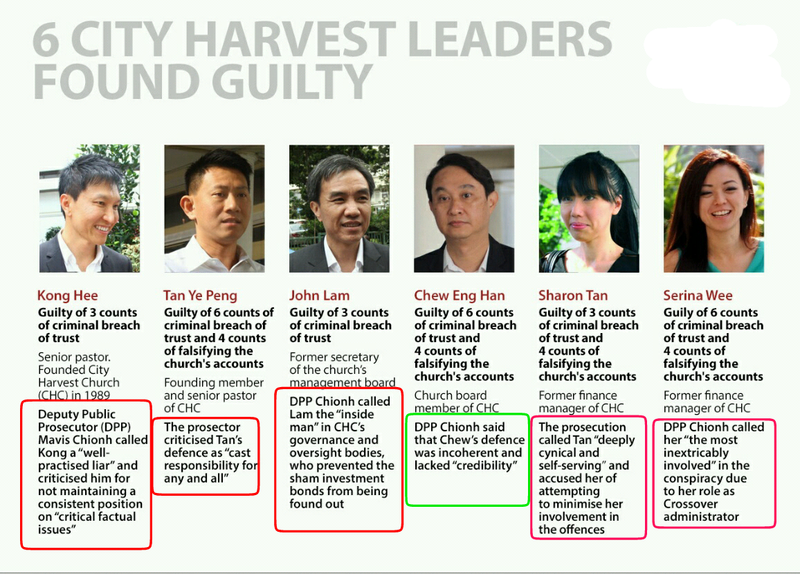 This is simply a case in which those church leaders (accused) were entrusted with the responsibility to run the church and its assets, had failed in their duty in the proper accounting and management (usage) of church’s building fund and, they were found guilty of ” collaborated to misappropriate the fund for unauthorised purposes”. 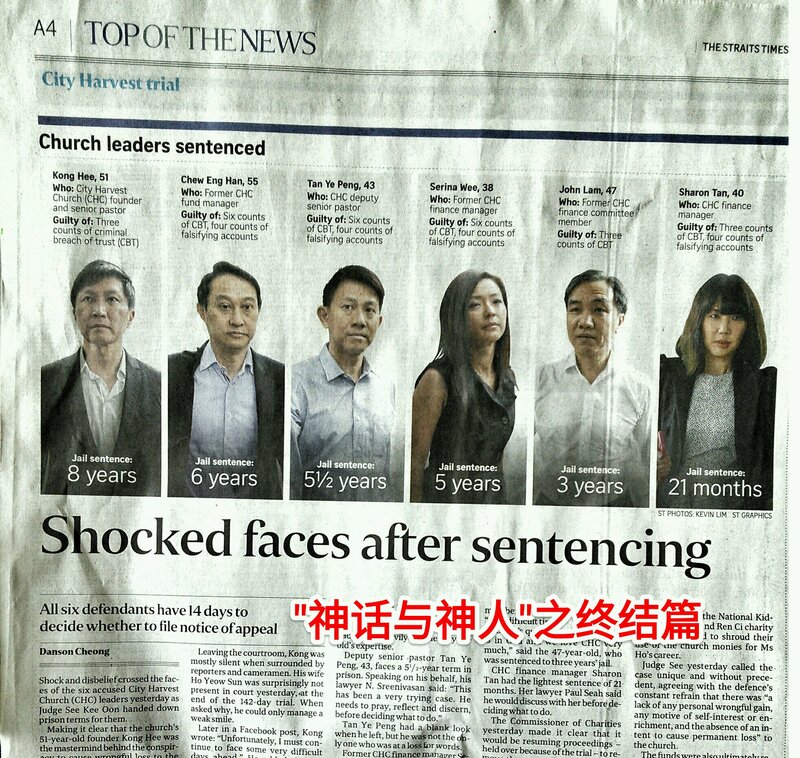 And hence, they have to face the trial and sentences. 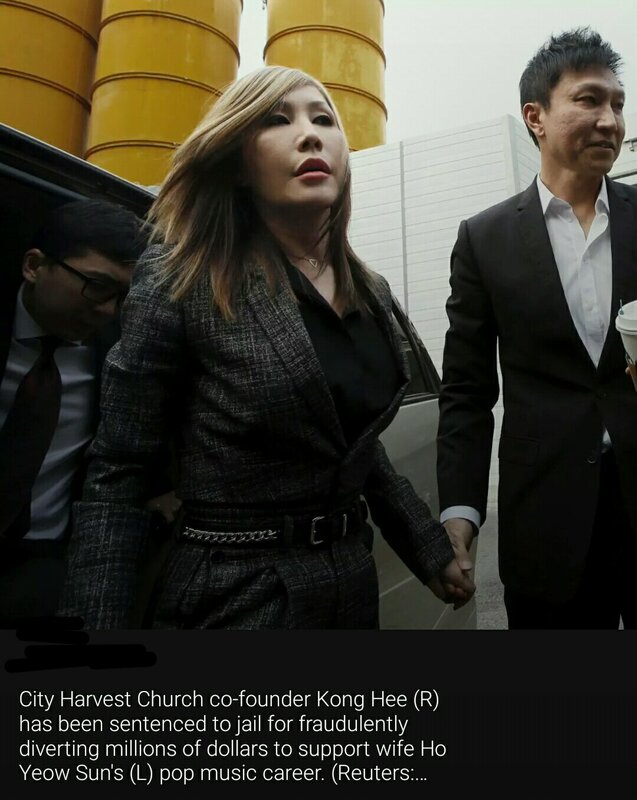 Pastors out there should not try to capitalize on this case (especially after the trial verdict), to add on your own opinions riding on theological ground. Many people out there are smart enough to discern the case and make their own conclusion. Any further “debate” about this case serves no good purposes. 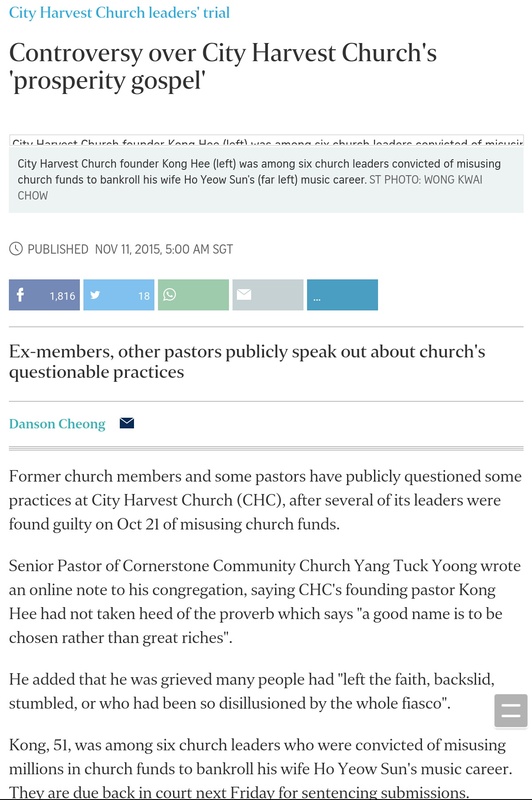 It will create more resentment within Christian community. 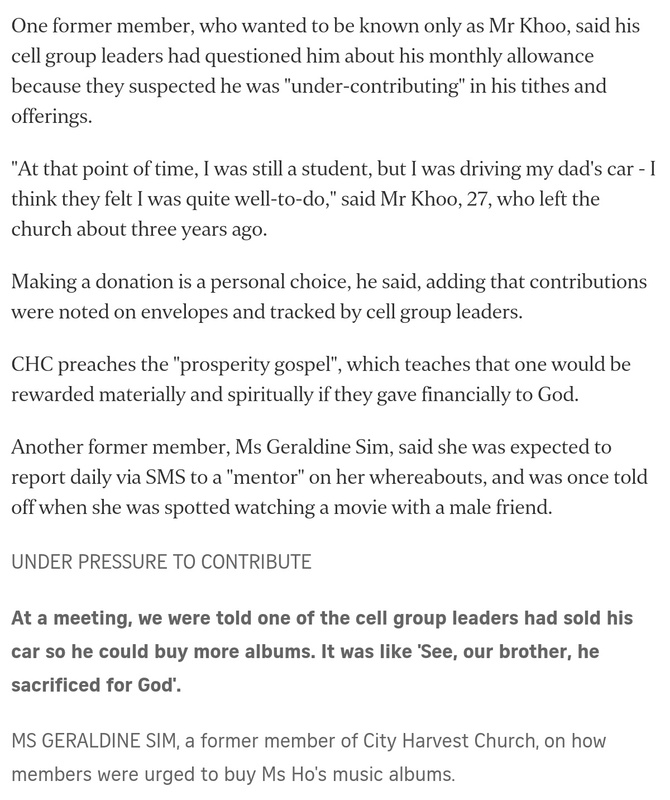 It’s time to quietly pray for the church and maybe, also for pastor KONG HEE and his team.